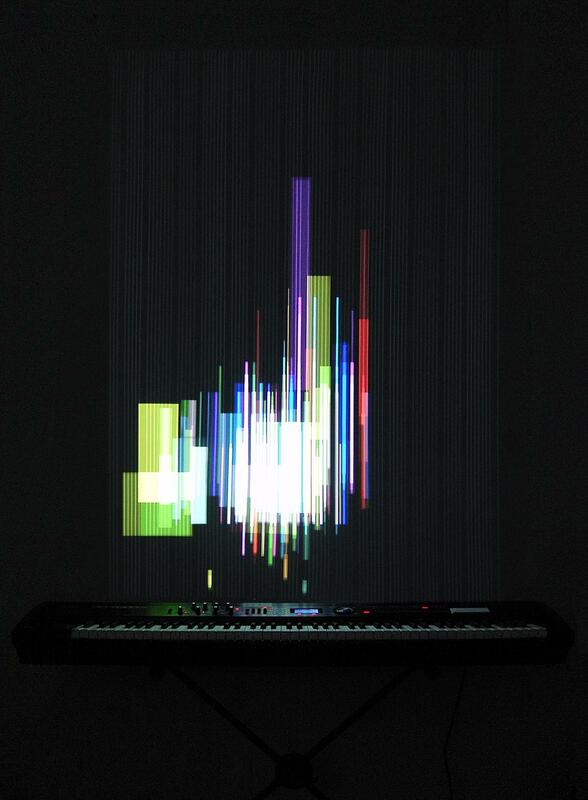 An interactive instrument for generative music visualization, made of a digital piano with 88 keys and midi output, a computer running a vvvv patch and a vertical projection above the keyboard. 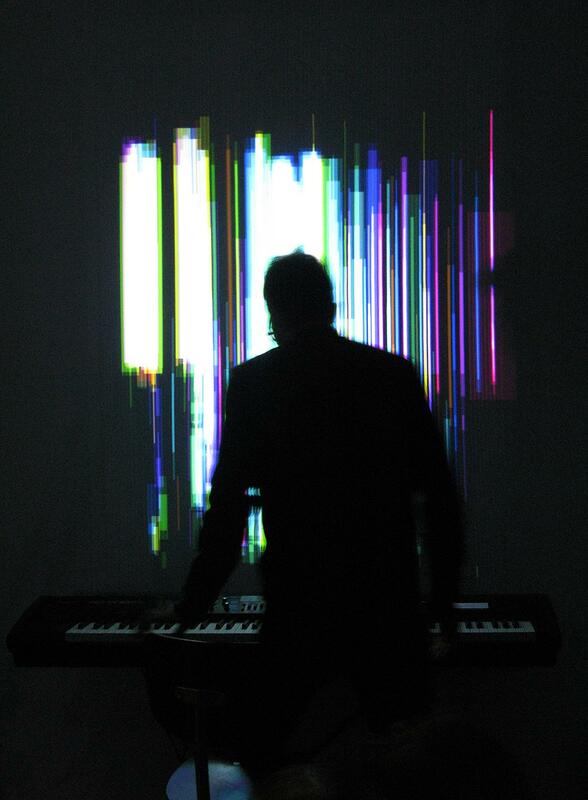 The visual concept of Clavilux 2000 is actually quite simple: For every note played on the keyboard a new visual element appears in form of a stripe, which follows in its dimensions, position and colour the way the particular key was stroke: The length and vertical position show the velocity, the stripe’s width reflects the length of each note. By mapping the color wheel on the circle of fifths, the colours finally give the viewer and listener an impression of the harmonic relations. Notes belonging to one specific tonality always get colors from one specific area of the color wheel. Therefore each key gets it’s own color scheme and “wrong” notes stand out in contrasting colors. 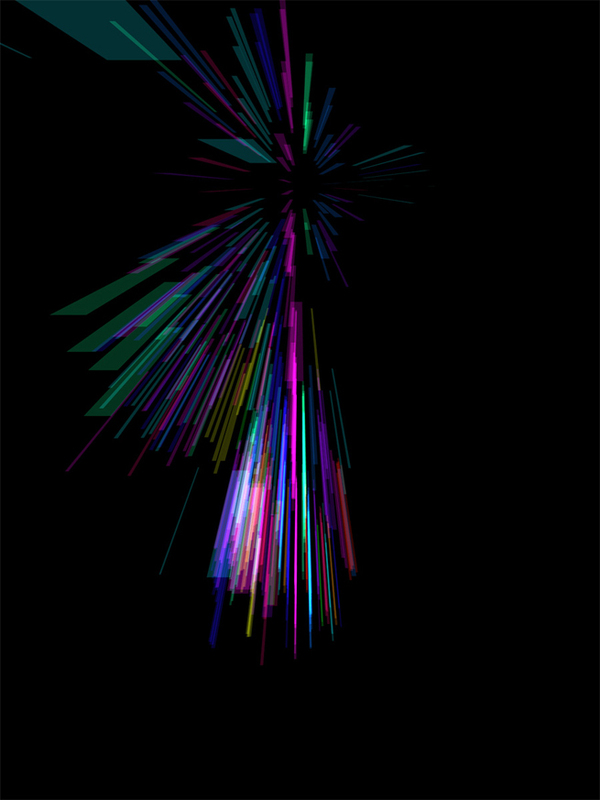 The more different tonalities a piece has, the more colorful the visualization will be. 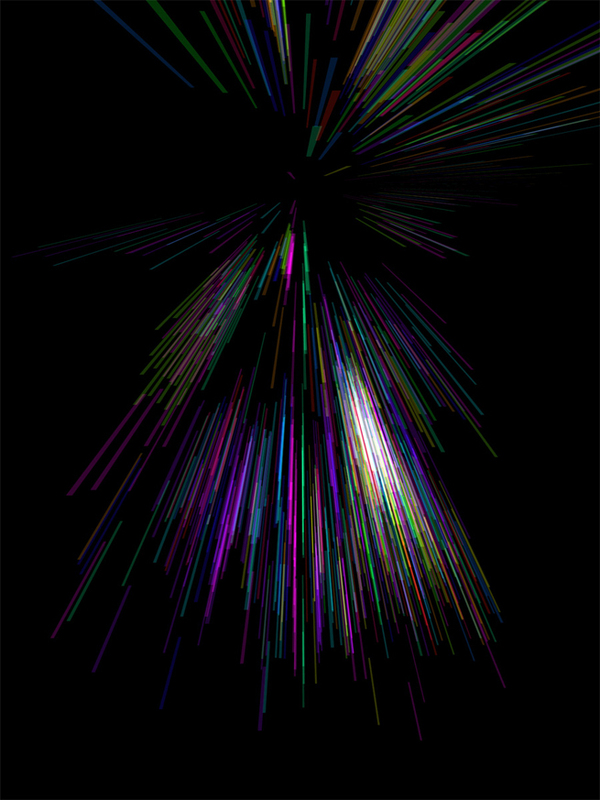 Unlike most other visualized music, the visualization of Clavilux 2000 does not disappear when the music fades away. 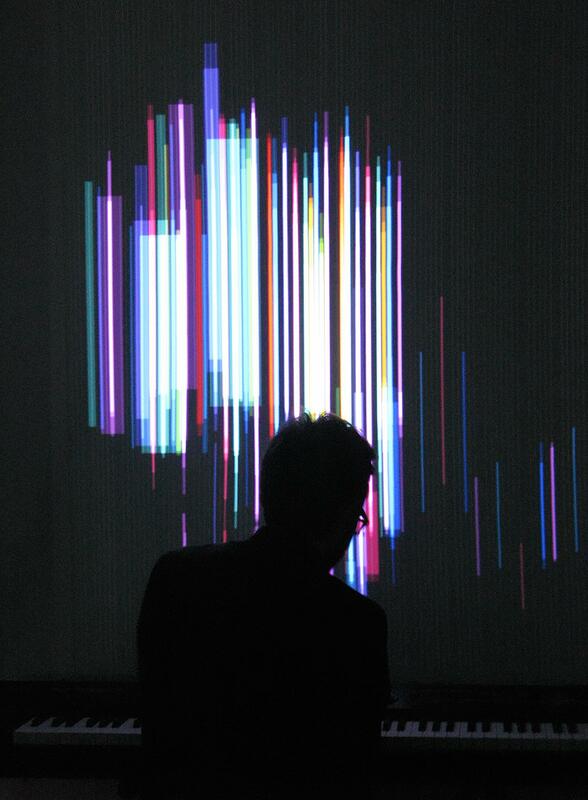 All stripes stay and overlap each other in an additive way, so at the end a kind of pattern remains – a summary of the music – which will be always unique. 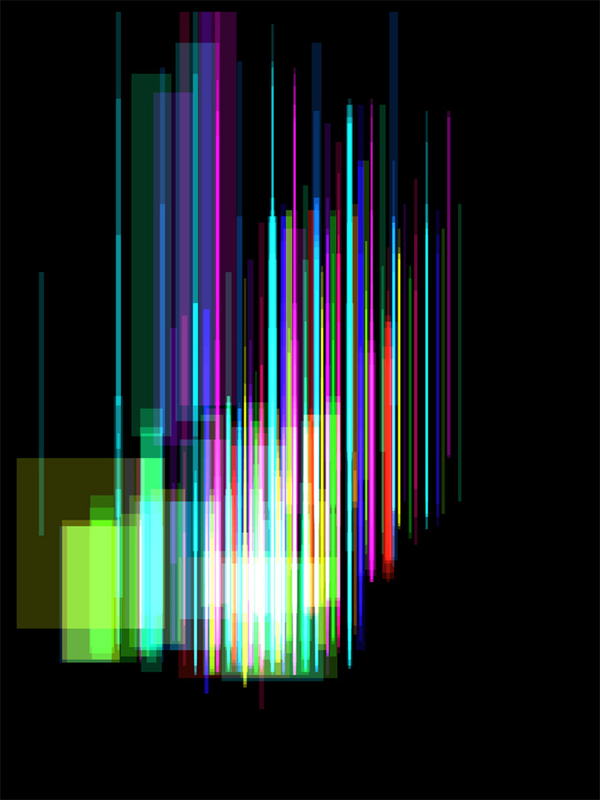 Since not only the notes played but also the interpretation of the piano player are influencing the outcome, visualizations for one single piece of music will vary, too. Therefore the stripes allow one to say something about the composition aswell as the specific performance: Which notes were played the most? Which were the loudest notes? Which range of the keys was played mostly? How harmonically constant was the music? Furthermore the system allows the piano player to switch between the standart 2d view and an additional 3d view of the visualization while playing. Also the visibility of a background grid, as well as the „deepness“ of the 3d view can be adjusted with sliders on the piano. 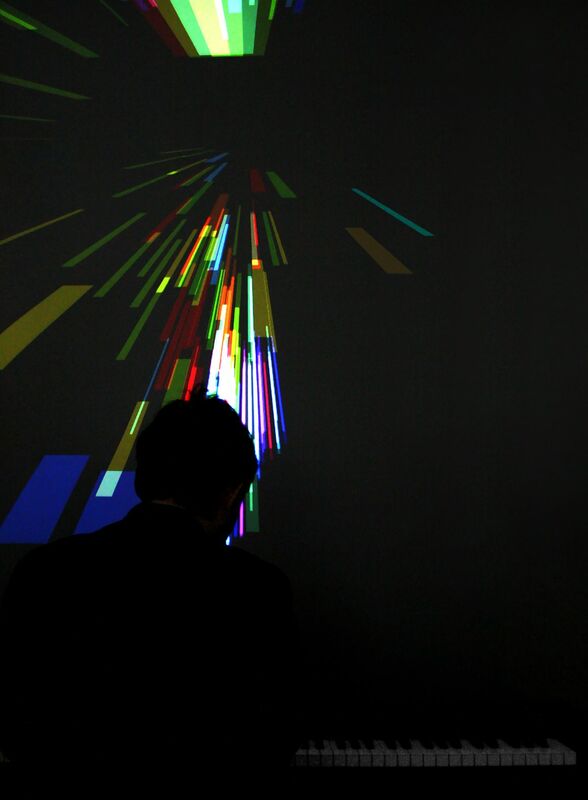 The technical part was done with the visual programming language vvvv. 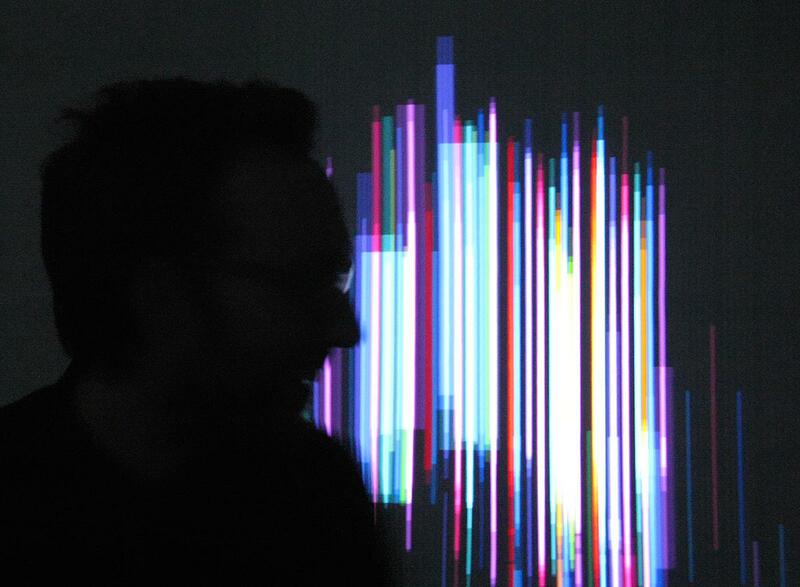 The MIDI signals sent by the piano to the computer get processed in real time and directly transfered into the visualization of the Clavilux. The Clavilux 2000 project was done during my studies at the Hochschule für Gestaltung Schwäbisch Gmünd and was supervised by Prof. Michael Götte and Veldana Sehic.